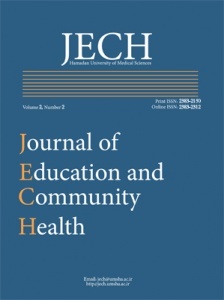 Journal of Education and Community Health (JECH) is a leading peer reviewed journal established in 2014. The journal publishes high quality papers on health education and health promotion. Published four times a year, JECH is keen to receive original papers on health promotion and health education methodology, research, policy development and practice, particularly from an international perspective. JECH is an open access journal with no review and publication processing fee and is freely available to any user or institution.